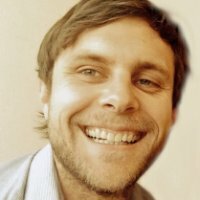 Marketing, sales, and customer success teams are using sales promotions in the form of discounts or coupons to not only get customers in the door, but also to maintain them throughout the course of their relationship to drive upsell/cross-selling, decrease churn, and increase lifetime value. 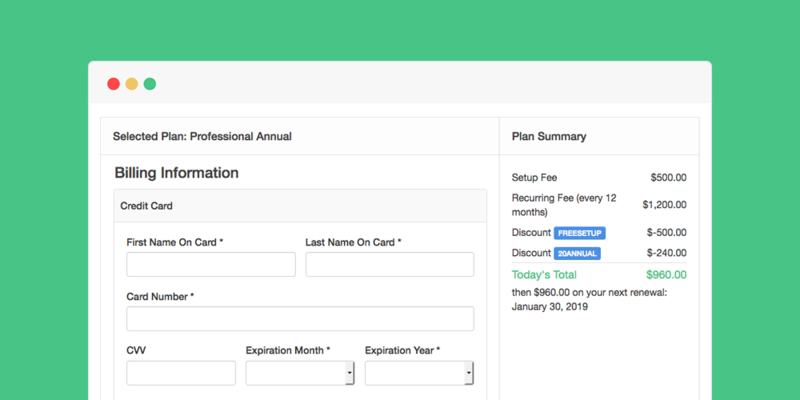 This more personalized and customized approach is the foundation of Chargify Elastic Billing™, and promotions play an important role in managing and executing such tactics to gain a competitive edge. When we look at Chargify’s customer base, we see that the average number of actively managed promotions by a customer is 68, and this number has been on the rise over the past several years. Some customers manage in excess of 1,000 coupons at any given time. With an increase in usage also comes an increase in use cases. 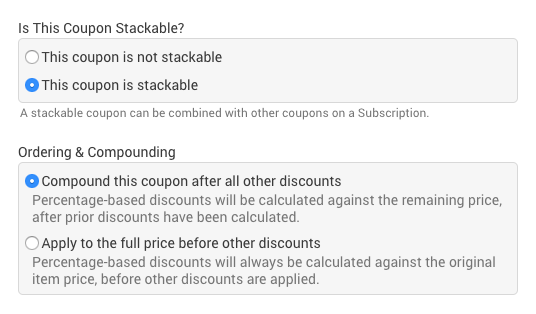 Today we are happy to announce the support of multiple coupons per subscription that we’re calling “stacked promotions.” This addition provides the flexibility to control which coupons can be “stacked” and used in conjunction with other “stackable” coupons. Choose The Type: Choose whether your promotion is percentage-based or a fixed-dollar amount. Choose The Timing: Apply promotions at sign up, for a fixed period, or for the duration of a relationship. Choose The Logic: Decide if credits can apply to future charges when greater than the total due. Choose The Limits: Set expirations dates and define the number of times a promotion can be applied. Choose The Product: Restrict promotions so they can only be applied to specific products and/or components. Increase upsells by incentivizing the customer to purchase add-ons at a discounted rate, even if they already have a discount applied to their core product/service. We need the ability to offer a range different incentives for both simultaneous use and on a rolling basis as other promotions expire. Stackable promotions has scratched that itch and provides more flexibility in how we leverage discounts for new and existing customers. For more information on how to configure and use promotions, visit our documentation.